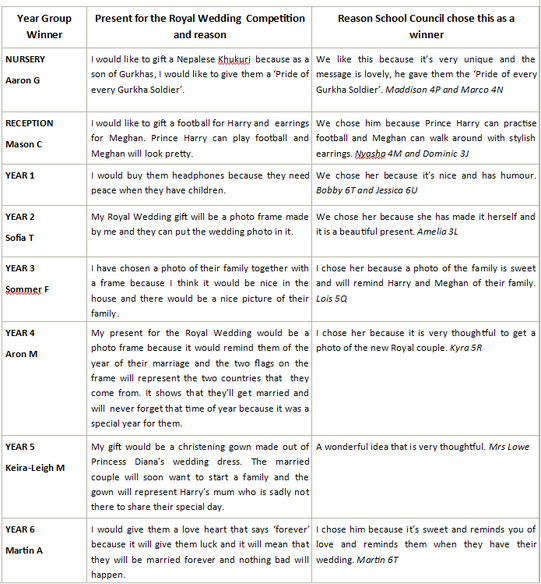 To celebrate the wedding of Prince Harry and Meghan Markle, pupils were able to enter our Royal Wedding Competition. The competition was 'If you had been invited to the Royal Wedding, what would you give the Wedding Couple as a present and why?' We received so many wonderful enteries and Mrs Whittington thoroughly enjoyed reading the well thought out and inventive ideas that the children put forward. School Council were given the honour of picking the winners (one from each year group). 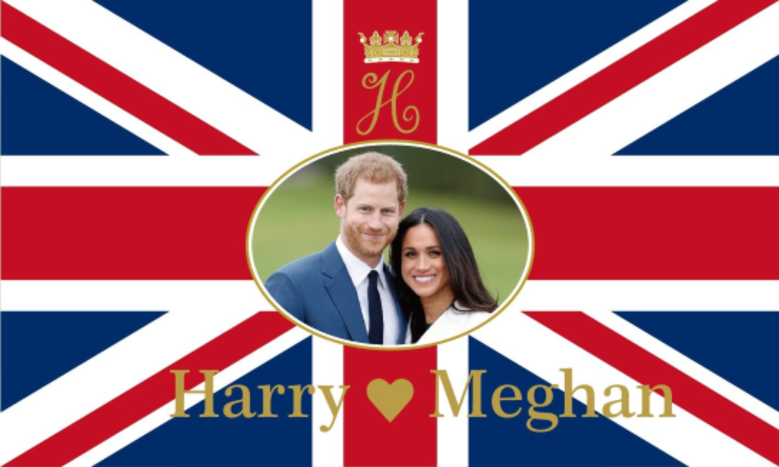 Mason C - Reception "I would like to gift a football for Harry and earrings for Meghan. Prince Harry can play football and Meghan will look pretty". Sofia T - Year 2 "My Royal Wedding gift will be a photo frame made by me and they can put the wedding photo in it". Keira-Leigh - Year 5 "My gift would be a christening gown made out of Princess Diana's wedding dress. The married couple will soon want to start a family and the gown will represent Harry's mum who is sadly not there to share their special day". Congratulations to the lucky winners and thank you for all of the amazing enteries.